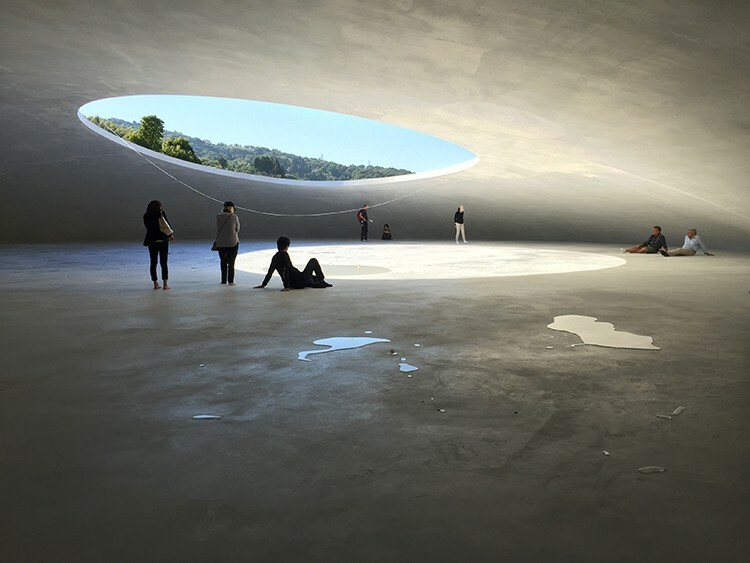 Here, a long-looking interlude in Teshima Art Museum collaboration between architect Ryue Nishizawa and artist Rei Naito. Hard to believe it’s been over a month since we took a Phillips trip to Japan as part of our travel program. Over the course of a week and a half, we traveled to Tokyo, Kyoto, Kurashiki, Naoshima, and Takamatsu. Here are a few snapshots of the people, places, and studios we visited. 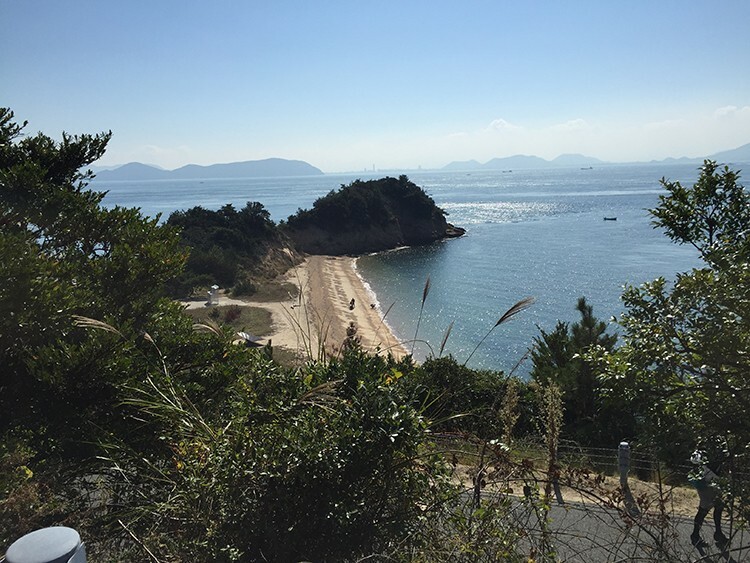 Wonderful view from the Benesse House Museum designed by Tadao Ando on the island of Naoshima. In the elegant Benesse House Hotel. Makes me think back to the great Antony Gormley installation here at the Phillips in 2012. 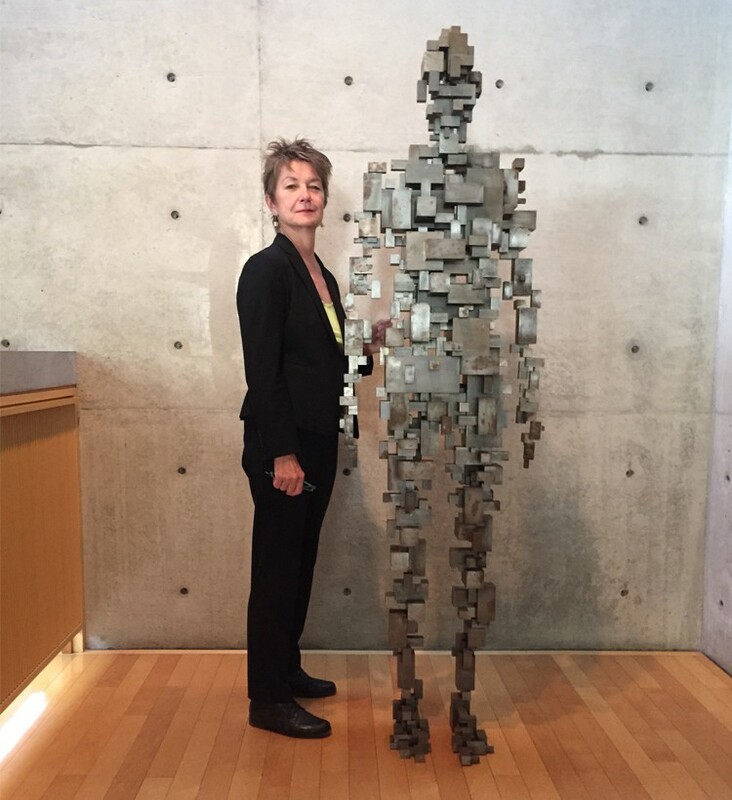 Enjoying a studio visit with artist and professor James Jack at the Tokyo University of the Arts (Geidai). 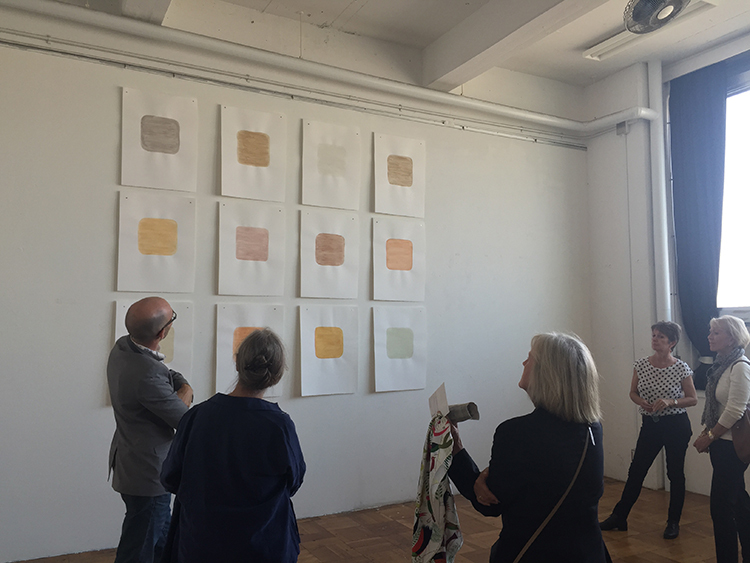 The pigments of each of these squares is composed with one dirt sample collected from various sites at which the artist has lived. Our trip also embraced the traditional arts if Japan. We visited the Kiyomizu-dera temple in Kyoto where the serene garden made me think of the Impressionists’ deep love of all things Japonisme. 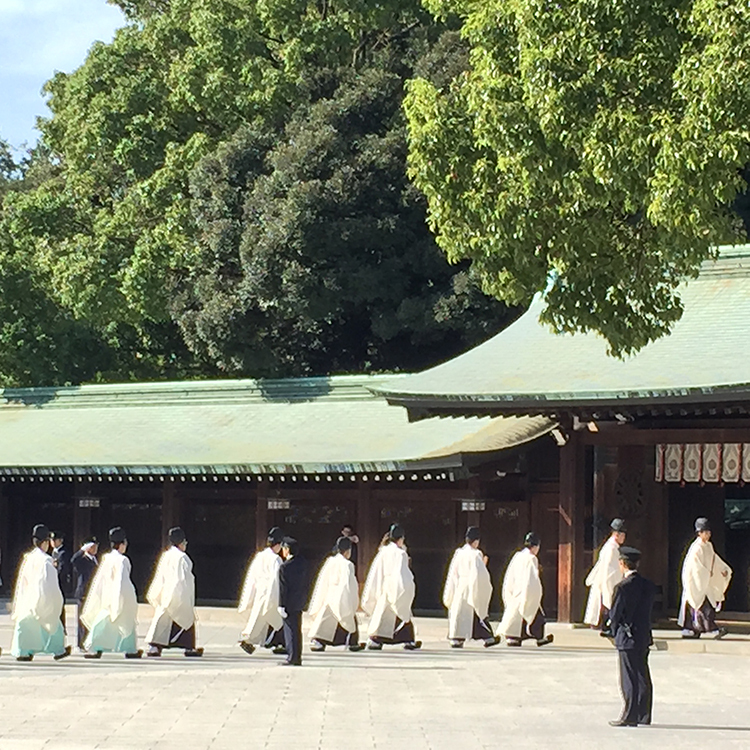 We learned a lot from the Shinto priest who accompanied us on our visit to the Meiji Shrine in Tokyo. 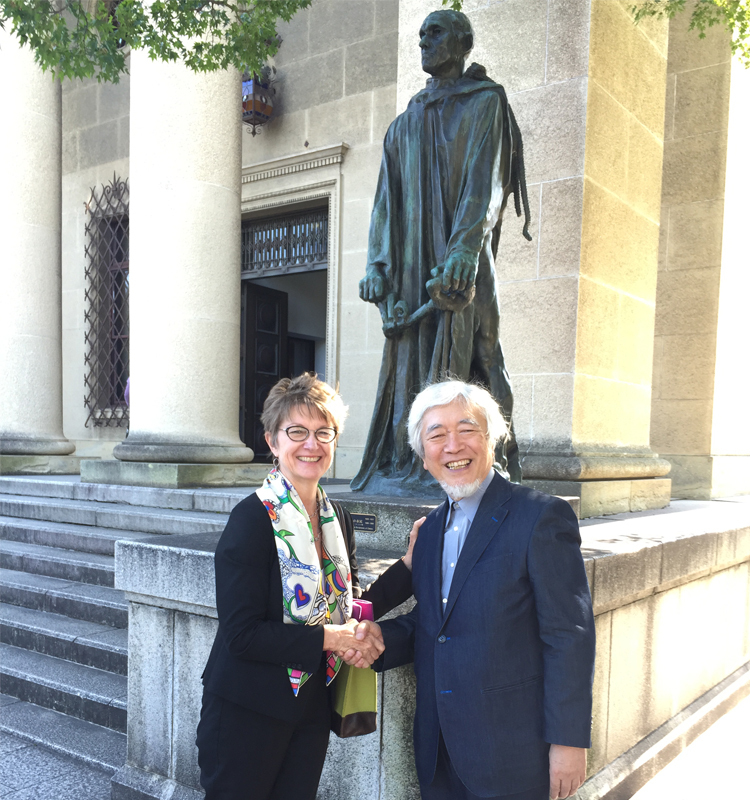 Meeting Mr.Ohara outside the Ohara Museum of Art in Kurashiki. 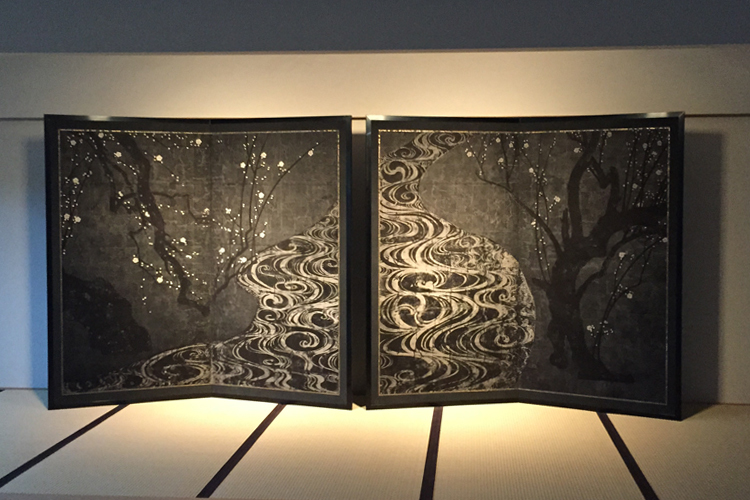 I adored this gorgeous work by Hiroshi Sugimoto that the artist showed our group. It is an interpretation of a historically important screen, a national treasure. Hiroshi Sugimoto, one of Japan’s preeminent contemporary artists, presents the Duncan Phillips Lecture this Thursday. In anticipation, Marketing Intern Annie Dolan considers two works from the artist’s exhibition currently on view at the Phillips. 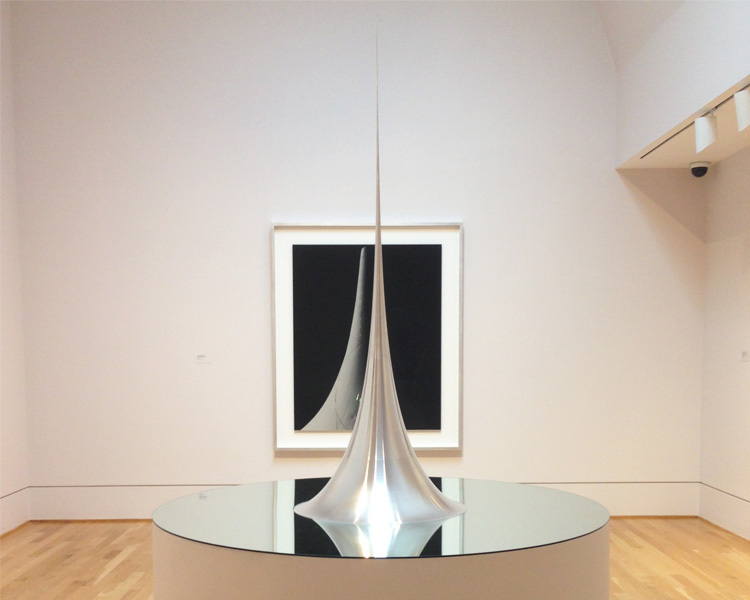 Hiroshi Sugimoto’s sculpture Surface of Revolution with Constant Negative Curvature (Mathematical Model 009), pictured above, aesthetically conceptualizes the indescribable phenomenon of infinity. Even mathematicians accept the enigma of the infinity concept, something that can grow so large that it never truly ends. Sugimoto’s upward-extending sculpture made of reflective aluminum may physically end, but the contour lines creating the edges of the surface don’t appear to converge to a point, and instead look as if they’re disappearing into thin air. We are meant to believe that these lines can continue forever without ever touching. Such a concept is perhaps more easily understood in two-dimensional form. On a gallery wall nearby this sculpture is a black and white monochrome photo that the artist took. The same conical shape is featured, but the lines that extend three-dimensionally into thin air are shown cropped at the top border of the photograph. This cropping indicates more obviously that these lines can truly extend without end, and that the zoomed-in image of the sculpture is part of a much larger object. When approached in this light, we can also find infinity among less abstract art forms. In a way, the cropped image that we see on the wall of a gallery is only a part of a larger scene. We could think of every landscape, still life, or portrait as existing in real, infinite space. While we might not be able to see such an infinity, we know that it is there. By prompting such conversations, Sugimoto connects the ideas of art and mathematics that might not seem so obvious. Infinity is therefore found in many art forms, and can, despite popular belief, be visualized.